Here you will find all of your professional Spike Shoes needs. We carry most styles and sizes. 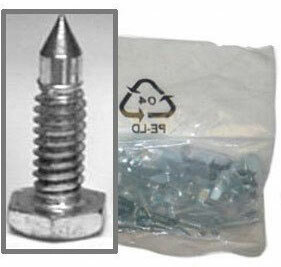 Spike shoes allow you to walk over wet paint or epoxy without damaging the coating. If you can't find something that you're looking for, please give us a call at 1-800-227-8479. 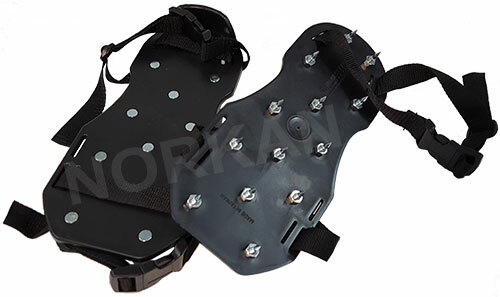 Black Spike Shoes Our popular standard "black" shoes are constructed of durable polypropylene and are available with 3/4" spikes. 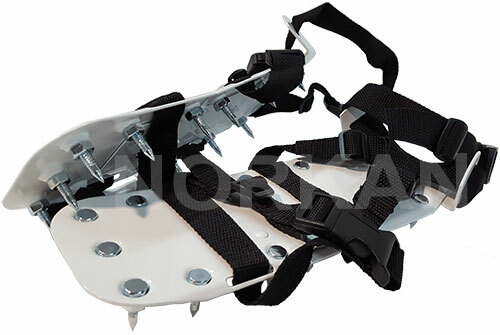 The 13 spikes are configured in the footbed to provide maximum balance and prevent toe-tipping. One size fits all. This allows the applicator to walk on the wet epoxy to achieve a uniform coverage of chips.